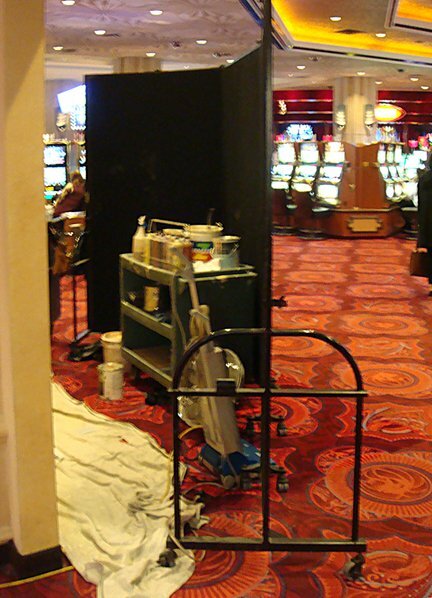 Uses: Before and After, Casino, Convention Center, Hospitality Colors: Black Lengths: 13 panel 24'-1" Heights: 7'-4"
The 4.2 mile Las Vegas strip consists of over 75 casinos, restaurants, stores, and 15 of the world’s 25 largest hotels by room count. It takes countless hours and manpower to maintain the insides and outsides of these dynamic structures. Because this is an entertainment district, the managers strive to maintain the highest level of quality services for all its guests. 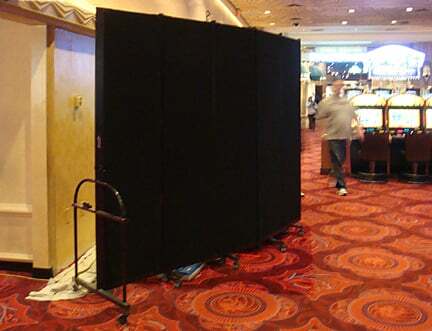 When repairs or construction is needed on a site, decorative Screenflex Room Dividers are placed to shield the construction area from the view of guests. When the work is complete, the room divider is rolled to another location in the facility to be used to hide other areas under repair. 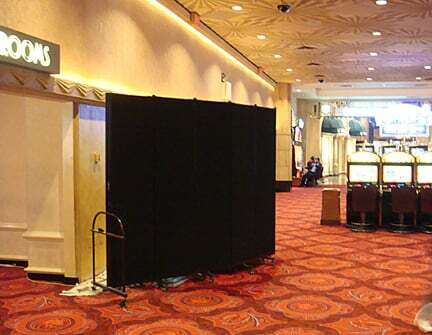 The room dividers can also be used to separate areas of banquet facilities into more usable space. Dividers are a simple and cost-effective way to manage your space.